The healthcare industry has been through numerous trials in recent years, from the financial and technical alterations brought by the Affordable Care Act and the HITECH Act to the rise of consumerism and the advent of the digital age. While providers have done their best to weather these storms, they haven’t exactly enjoyed a reputation for embracing these changes with open arms.Organizational resistance to new strategies is a common pain point, and leaders without a firm understanding of health IT can sometimes create roadblocks to innovation, intentionally or otherwise. Coupled with the very real challenges of big data analytics and the financial pressures of population health management and value-based care, healthcare organizations are in dire need of new strategies to help them manage patients more effectively. Provider organizations often try to borrow components of quality improvement strategies that have become popular in other industries, explains Malaz Boustani, MD, MPH, Founding Director of the Indiana University Center for Health Innovation and Implementation Science of the Indiana Clinical and Translational Sciences Institute. While frameworks like Six Sigma and lean methodology have the potential to bring significant improvements to industries like manufacturing and engineering, healthcare demands a slightly different approach. “Healthcare is primarily a human-to-human process, not a human-to-machine interaction,” said Boustani, who is also a Regenstrief Institute and IU Center for Aging Research scientist. Instead of trying to completely eliminate these natural variations and turn the healthcare delivery system into an assembly line, any new improvement methodology should take human nature into account and harness its positive potential, Boustani told HealthITAnalytics.com. Learning happens at different rates, and lessons are applied in unique ways depending on the character of the leadership, the culture of the organization, the composition of the patient population, and the amount of resources at hand. “When a system is made up of individuals who use a combination of their past experiences, their emotions, and variable input from other humans to decide what to do, it can be hard to predict what is going to happen and to generate repeatable outcomes,” he said. Boustani suggests adopting a strategy from the software development world instead. Agile implementation is much more applicable to the semi-independent teams that are common in healthcare, and allows for a certain amount of trial-and-error adaptable to the unique situation at hand. Iterative development is a central principle for the methodology – an approach that matches well with the “if/then” nature of clinical decision-making. With the right data analytics and a few tweaks to the way that software developers apply the strategy, healthcare organizations may be able to implement quality improvements much more quickly than in the past. Marrying agile implementation techniques to the growing sophistication of data analytics tools can shorten the timeframe required for quality improvement to just two years, Boustani said. His assertion is supported by the results of a long-term project to develop better care for dementia patients at Eskenazi Health, headquartered in Indiana. The paper, published in Clinical Interventions in Aging, introduced the idea of treating dementia care as a complex adaptive system and showcased the trial’s results in managing dementia symptoms, reducing caregiver stress, and treating depression with medication. But publishing a paper doesn’t always bring immediate or widespread change, Boustani noted. And the limited nature of the study design did not necessarily prove that a quality improvement program using agile methodology could become sustainable and produce results within a reasonable timeframe. “So the leaders at Eskenazi Health challenged my team to actually implement the solution in the real world,” he said. Boustani and his colleagues highlighted a handful of key components of the change management process that would contribute to the ultimate goal of reducing symptoms and improving quality of life for dementia patients and their caregivers. The questionnaire was fielded, at minimum, once every month for the first three months. Then, caregivers filled out the form once a quarter. If the results showed an emerging symptom or acute problem, the questions could be repeated every two weeks until clinicians resolved the issue. “The constant feedback loop that we created allowed us to constantly monitor our results and make modifications when necessary to make sure that we were actually meeting the patients’ needs,” he explained. The feedback data also helped Boustani and his team create an on-demand clinical decision support tool that shows providers which patients may be in need of some extra attention, as well as the data supporting that recommendation. The non-intrusive dashboard was developed in-house, since the EHR in use in 2006 did not allow for robust population health management and case management, he said. “We used that until Eskenazi Health moved to Epic Systems in 2016. At that point, we had to abandon our homegrown software and use a combination of Epic and Excel to mimic the functionality we had created,” said Boustani. However, using a commercial vendor does allow access to a broader infrastructure that can help expand the agile implementation strategy to other chronic care populations, he acknowledged. “Because we’re a little shop, we might not have been able to scale in the same way that a commercial vendor can,” he said. Working in the safety-net environment can be a challenge, but it is also a prime opportunity to explore just how robust and durable a new strategy can be. “If you can make something like this happen in the safety-net world, you can probably make it happen anywhere,” Boustani observed. Boustani and his colleagues have published a second paper on the outcome of the agile implementation process in the Journal of the American Geriatrics Society, showcasing the long-term sustainability of the Aging Brain Care Model. For the past nine years, the model has been used to enhance experiences for dementia patients by using individualized care plans and iterative feedback to personalize services. Open communication, a nimble response to data that indicates a need to change, and strong support from leadership have all helped to produce results, said Boustani. 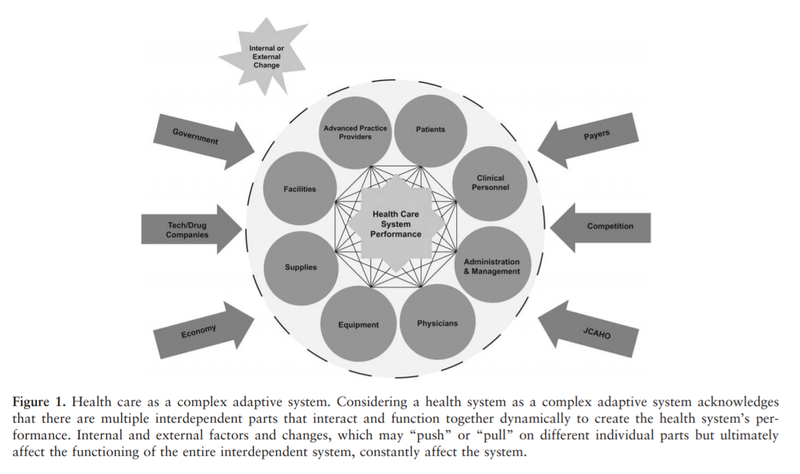 As they do so, healthcare organizations should keep their ultimate goals in mind: delivering better care to their patients without causing frictions between elements of the complex adaptive system in which they operate. “The software development industry has started to understand that if the goal is to provide a delightful experience, they have to understand the user very deeply,” said Boustani. Instead of continuing that vicious cycle, agile implementation can help keep clinicians engaged while preserving their ability to make decisions supported by the data they need to deliver quality care.